A Cardiff Metropolitan University graduate has undertaken an ambitious business venture with the goal of developing Wales’ standing as a premiere holiday destination for tourists across the globe. Isra Sulaman, who graduated in 2016 having emigrated to Wales from Sudan at the age of 14, was inspired to begin her enterprise Avalon after collecting donations for the Red Cross and British Heart Foundation in cities, towns and villages across Wales. This exposure to the beautiful landscapes of Wales opened Isra’s eyes to the huge tourism potential that the country has. “I was blown away by how beautiful and amazing Wales is and was inspired to start a business where I focus on highlighting the beauty of Wales to different part of the world and to different cultures. Isra decided to target the Middle Eastern market, having identified the trend towards a noticeable increase in the frequency of short visit stays to the UK from the region, with most visitors opting to stay in either London or Manchester. “My aim is to build a multi-service company that connects other Welsh businesses and attracts new markets to Wales by promoting tourism and other amazing Welsh products through specialised tours around Wales. 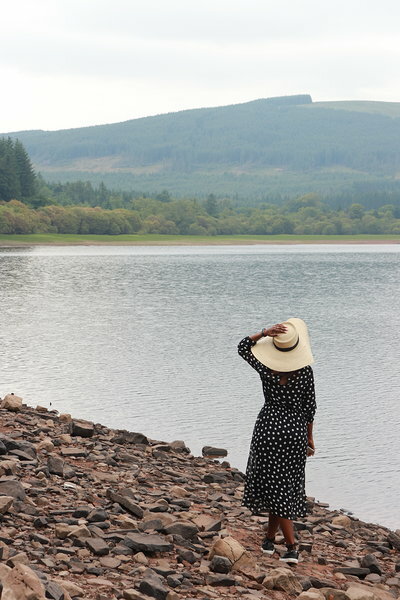 The group of bloggers were given the opportunity to explore the offerings of Cardiff, Swansea and the Brecon Beacons and she hopes to give other influencers the opportunity to see the beauty of Wales. “Isra’s determination to follow a pursuit she believes in and to make a positive difference for the wider community is something we can all aspire to emulate.